Right off the bat, this pairing would have matched up to our reigning satay-Rémy Martin CLUB combi, if not for the lacklustreness of the Hokkien Mee ($4 for small). 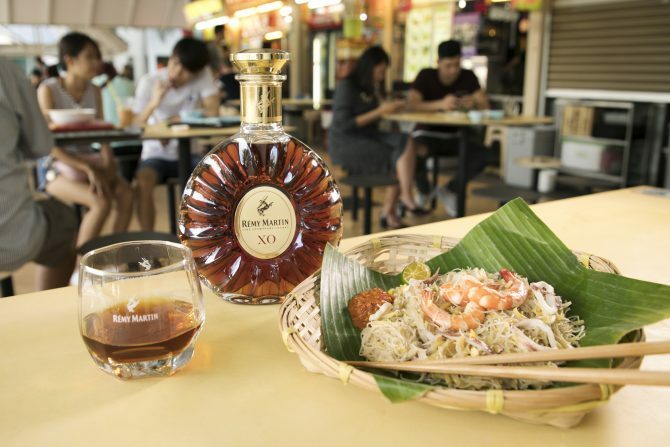 Featuring mature fruity flavours of plum and candied orange and a hint of a spice and nut, the cognac brought out the sweetness of the springy prawns while allowing the wok hei-ness of the noodle dish linger on in our mouths. Our only gripe is that the noddles were dry, which may have stifled the dishes’ usual distinct flavours. A good deal of greasiness would have balanced out the potency of the cognac well.